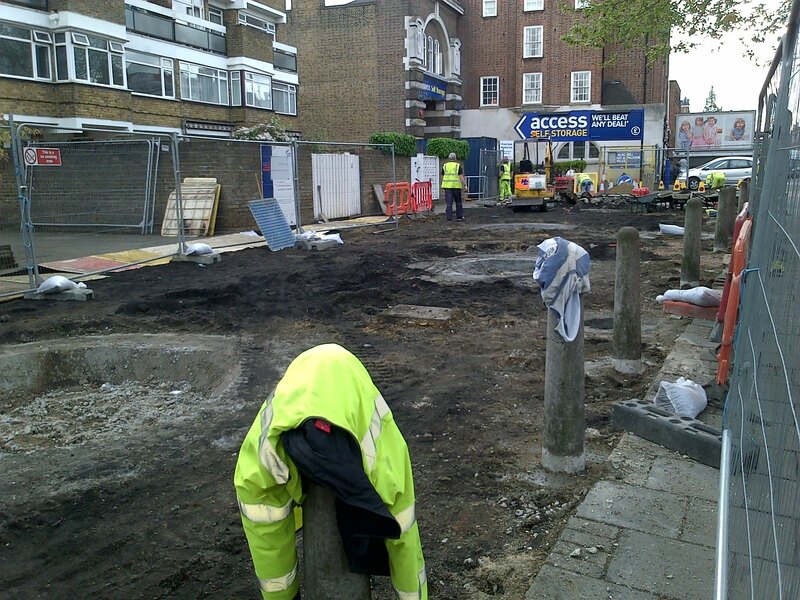 The Hoopla garden is being constructed in the pavement of Norwood Road, between Lancaster Avenue and Elmcourt Road . The design, drawn up in three community consultation events, uses the existing bollards, with concrete rings over them, like a game of hoopla and permeable paving strips laid diagonally. Volunteers will be needed to help plant the garden at the end of May with a grand opening in early June. And throughout 2014, regular gardening afternoons 1pm-4pm will be held on the first Sunday of every month – on West Norwood Feast days. Edible Bus Stop is a volunteer led project working with local communities taking on neglected or forgotten sites to transform them into valuable neighbourhood growing spaces.